The Rio Grande River or "Big River" offers oppurtunites to cath both rainbow and brown trout throughout the state. 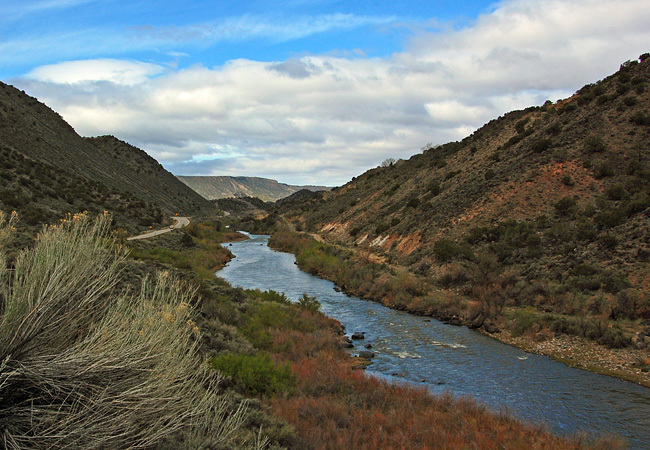 Some of the best fishing on the Rio Grande River is near "the box" below the Rio Grande Gorge. The hike in and out of the box is very strenuious but accessible for the determined and fit angler. The Rio Grande also offers a multitude of access points from the Northern part of the state to the Southern part offering great fishing. The Rio Grande offers access throughout the state. Please contact us for details. How's the Rio Grande Fishing? Fishing is good using midge larva, pheasant tails, and egg patterns.